Delcam is an established player in Asia. Even back in the late 1970s our founder had aspirations to grow Delcam into a global company, and over thirty years later we’re now represented in 17 markets throughout the Asian region. 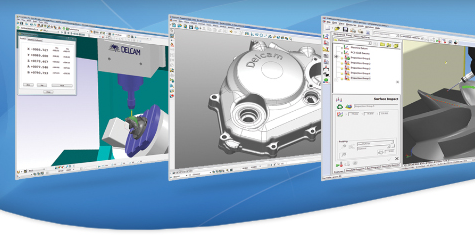 As one of the world’s leading suppliers of CADCAM solutions, we design and produce manufacturing software for industry sectors as diverse as aerospace, motorsport, dental, marine, footwear, jewellery and packaging. Asia is crucial to our success as we need to be where all the global manufacturing powerhouses are based. Last year nearly a quarter (23%) of our total global business was driven out of Asia, with the automotive, footwear and electrical appliance sectors leading the way. As economies and production grow at a phenomenal rate across the region, both in established markets such as Korea and in newer manufacturing centres like Indonesia and Vietnam, we predict that our presence in the region will only escalate over the coming years. Getting such a strong foothold in Asia has required flexibility. It’s all about finding the right business model for each market, and most importantly, an associate or partner who is passionate about your product and who has the right connections. 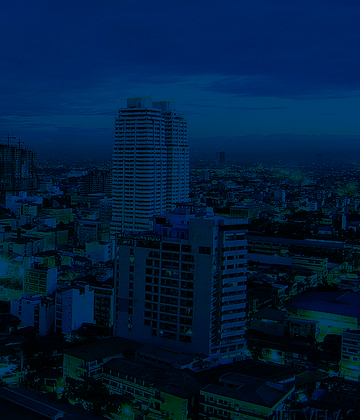 In Japan, China, India, Thailand, Malaysia, Indonesia, Singapore and Vietnam we have wholly-owned subsidiaries in place. In Korea, Taiwan and Hong Kong we’ve gone down the joint venture route and in the Philippines we rely on resellers. Because of the size of the markets, our subsidiaries in Japan, China and India use resellers to support their own activities. To successfully overcome any cultural and language challenges in Asia we have opted to partner with, and employ local nationals almost exclusively. This approach, which we also use in the rest of our international operations, has paid dividends for us. However, we like to ensure that there is good communication between our global headquarters in Birmingham and our Asian operations at all times. Our Chief Executive oversees two of our most important markets, Korea and India, while our General Manager for Greater China operates out of Birmingham, making monthly trips out to the region. In addition, we have a Business Development Manager for Japan who is based in Birmingham and one for Southeast Asia in Kuala Lumpur. Our marketing and development teams also visit the region to meet customers and the sales teams and in the last year, I’ve been there three times. When doing business in Asia, it is paramount to realise the importance of face-to-face meetings in developing personal relationships: for us, this is the lynch-pin of our success. With such a diversity of sectors and countries we’re marketing to, we place a great emphasis on establishing our brand and maintaining relationships through exhibitions across Asia. Recently at a show in South Korea, we had over 2000 visitors on our stand in just five days! The good news is that there’s a positive attitude towards British companies throughout Asia and plenty of opportunities for any companies offering advanced technology and brand leading products or services. It has played an important part in the 2012 London Olympics and Paralympics – the company which made the Olympic torch, the Royal Mint which made the medals and numerous sports footwear brands are its clients. It also supplies its software to the UK’s biggest prosthetics company.